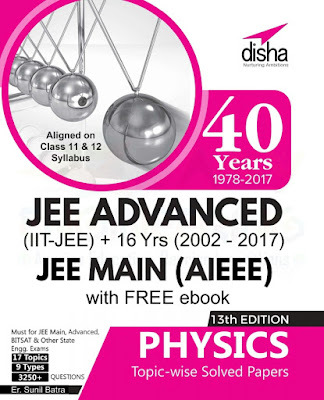 Presenting the "Previous years IITJEE PHYSICS solved question papers full their complete solution by DISHA PUBLICATIONS". 4. A must book for JEE ADVANCED, JEE MAINS, BITSAT & other engineering exams etc. Awesome.I have searched ebooks but many sites ask for money but this site is so very perfect with collection of all the JEE related books.Thanks to site creator.